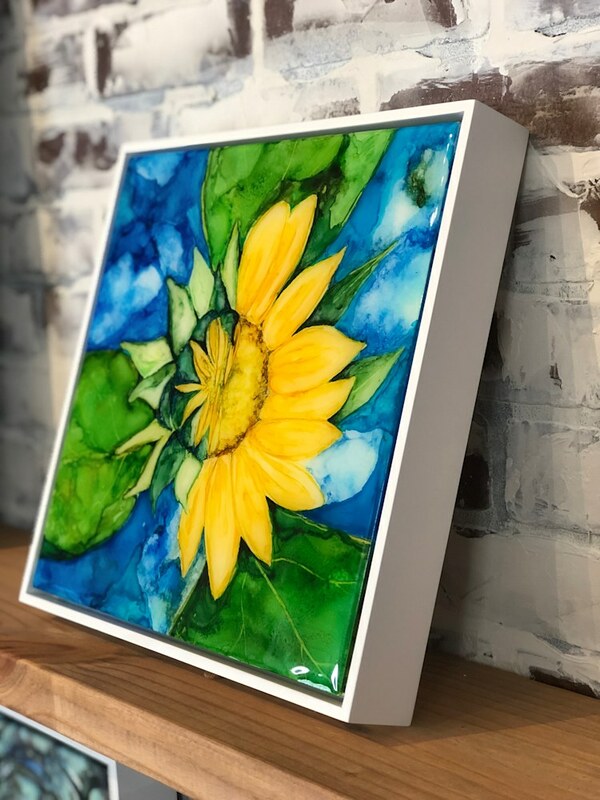 10 x 10 Original Sunflower Painting. Add a bit of sunshine to your home with this cheerful opening sunflower. This Piece has been mounted to Birch and sealed with Art Resin for a smooth, bright finish. 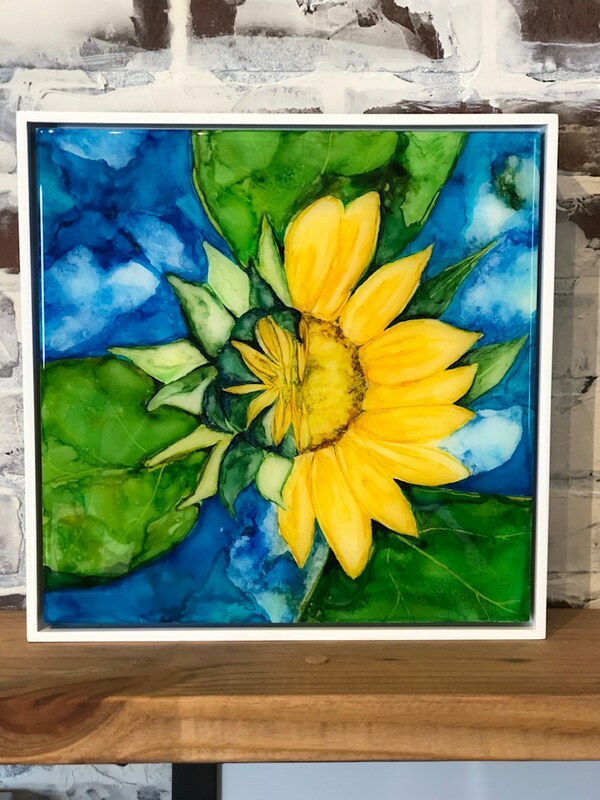 The white floater frame is the perfect finish for this bright sunflower, wired and ready to hang.